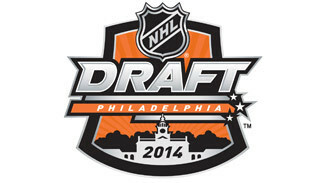 NHL teams have another four months to monitor the top prospects for the 2014 NHL Draft. How will they sift through the talent? We won't know until the last weekend in June, when the 30 teams convene at Wells Fargo Center in Philadelphia. However, that won't stop the draft experts at NHL.com from making their guesses. Based on the League standings entering the Olympic break, NHL.com's Adam Kimelman, Mike G. Morreale and Steven Hoffner all believe the Buffalo Sabres will take center Sam Reinhart of the Kootenay Ice of the Western Hockey League with the first pick. The versatile forward is No. 4 on NHL Central Scouting's midterm ranking of North American skaters for the 2014 draft, but Reinhart has impressed scouts with his high hockey IQ and ability to play on the wing or in the middle as well as run a power play and be a prime penalty-killer. In addition to being a dominant performer in the WHL, he also played a prominent role on Canada's team at the 2014 World Junior Championship. The consensus for the second pick is that the Edmonton Oilers will select defenseman Aaron Ekblad from the Barrie Colts of the Ontario Hockey League. The 6-foot-3, 213-pounder has NHL-ready size, a bullet shot from the point and also earned a spot on Canada's WJC team. The trio also was in agreement that left wing Samuel Bennett of the Kingston Frontenacs of the OHL would go to the Florida Panthers with the No. 3 pick. Bennett is a dynamic offensive talent, and some scouts believe he has the best shot of any player in the draft. Central Scouting made him its No. 1 North American skater in its midterm ranking. There will be 29 picks in the first round this year. The New Jersey Devils have forfeited their first-round pick as a penalty for the Ilya Kovalchuk salary cap circumnavigation case. The Anaheim Ducks are the only team with two first-round picks. They have their own as well as the Ottawa Senators' first pick, via the Bobby Ryan trade last summer. The Buffalo Sabres could end up with a pair of first-round picks, but that decision is up to the New York Islanders. As part of the deal that sent forward Thomas Vanek to the Islanders, New York sent a conditional first-round pick to the Sabres. The Sabres get the pick if it is outside the top 10; if it's a top-10 pick the Islanders have the option of keeping their 2014 pick and sending their 2015 first-round pick to Buffalo. There's a vast array of talent for the teams to pick from. NHL.com's draft experts are in agreement on the top three picks but after that opinions vary. Do you agree with the picks? Feel free to weigh in with your opinions.